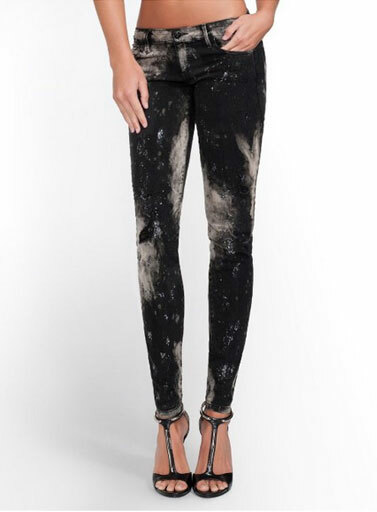 The Guess Outlet Kate Low-Rise denim leggings features a unique bleached splatter pattern, glitter, distressing to give you the ultimate in street-style fashion. A bleached pattern and shimmering glitter give these low-rise denim leggings a cool cosmic look with one-of-a-kind street-style appeal. They’re made with lightweight power-stretch denim and cut in an ultra-skinny fit that’s comfortable enough to wear all day and through the night. Buy your Guess Outlet Kate Low-Rise Denim Leggings, click here.